In looking for a staycation in Britain, I wanted to discover some less-travelled parts of the realm. My usual accommodation preference is luxury boutique hotels but I wanted to try something new. As for holiday camps and villages, these are a definite no for me. I’m not a package holiday enthusiast and always choose to 'do-it-myself' over manufactured, seemingly generic experiences. In searching for something different and wanting to combine local exploration with a comfortable weekend break, I happened upon Unique Home Stays. Like many travel secrets, bountiful once discovered, I had no idea there are an infinite array of rental properties in all shapes and sizes, scattered across the country. 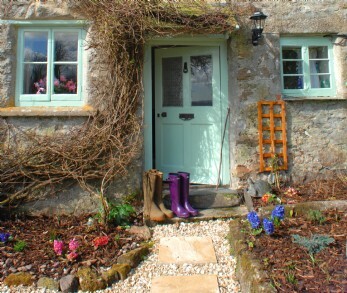 I chose a cottage in Cornwall, and so began my journey. Pixie Nook is hidden away in the civil parish of Warleggan on the southern edge of Bodmin Moor, Cornwall, England, with a population of just 203 people. 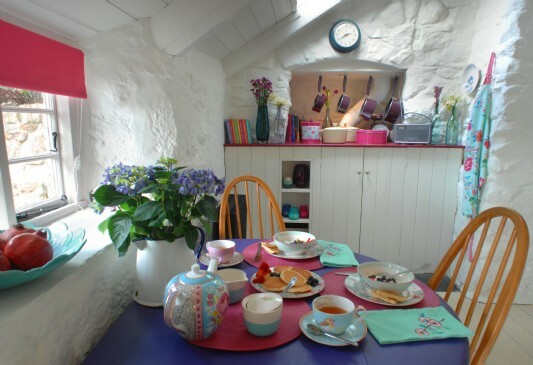 This one bedroom cottage whimsically decorated in floral pastels has a cosy fireplace and a private cedar hot tub. Whether you enjoy cooking your own meals in the quiet country kitchen, or prefer to patronise a local pub, there’s a perfect balance of accessibly secluded. I urge you to explore this amazing, picture-perfect landscape and create an adventure of your own! 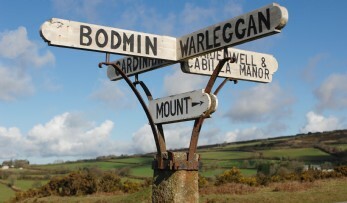 Take a walk in the woodlands, cycle the countryside or drive to the Cornwall coast. Other activities, culture and entertainment include: Bodmin and Wenford Steam Railway, the old slate mine and subterranean lake at Carnglaze Caverns, the Bronze Age stone circles known as The Cheesewring and The Hurlers, the beautiful National Trust house Lanhydrock and the Georgian Pencarrow House, plus miles and miles of footpaths and trails for both serious walkers and amateur hikers. In short: private home rentals, luxury self-catering accommodation, regional local colour - I'm hooked!